BAKU (Reuters)–With Europe flooded by gas, there is little sense of urgency in supply talks between Azerbaijan and Turkey, but commercial interests dictate they will reach a deal key to reducing energy dependence on Russia. The two have been negotiating since mid-2008 against a backdrop of political tension, drawing dire warnings that Europe could lose out on key gas for the planned Nabucco pipeline. Azerbaijan wants to hike the below-market price, and has warned it will otherwise sell elsewhere, striking deals to sell small volumes to Iran and Russia to drive the point home. At stake is access to the second phase of the Shakh Deniz project, expected to come on stream later in the decade and potentially providing the market with an extra 16 billion cubic metres of gas per year — half of Nabucco’s planned capacity. Nabucco would transport Caspian and Central Asian gas via Turkey and the Balkans to central Europe — the so-called Southern Corridor route. This would cut out Russia, which now supplies about a quarter of the gas consumed by western Europe. But the proposed route faces competition from a similar pipeline project, South Stream, backed by Russian state-run energy giant Gazprom. Gazprom is offering to buy as much gas as Azerbaijan can produce. 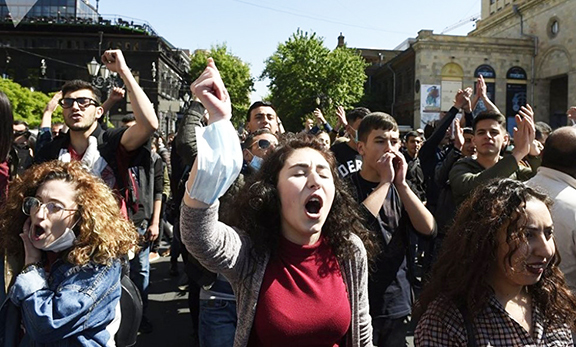 A rift between traditional Muslim allies Azerbaijan and Turkey over moves by Ankara to mend ties with Armenia has fed the sense of alarm over the fate of the negotiations. But analysts say politics are not holding up the deal. Azerbaijan is unwilling to commit to terms so far in advance of Shakh Deniz II coming online in 2014-16 and an oversupply of gas to Europe has removed any real sense of urgency. “The Turks are struggling with their economy at the moment. They don’t want to pay much more than the original $120 per 1,000 cubic metres agreed for Azeri gas,” said Jonathan Stern, director of gas research at the Oxford Institute for Energy Studies.